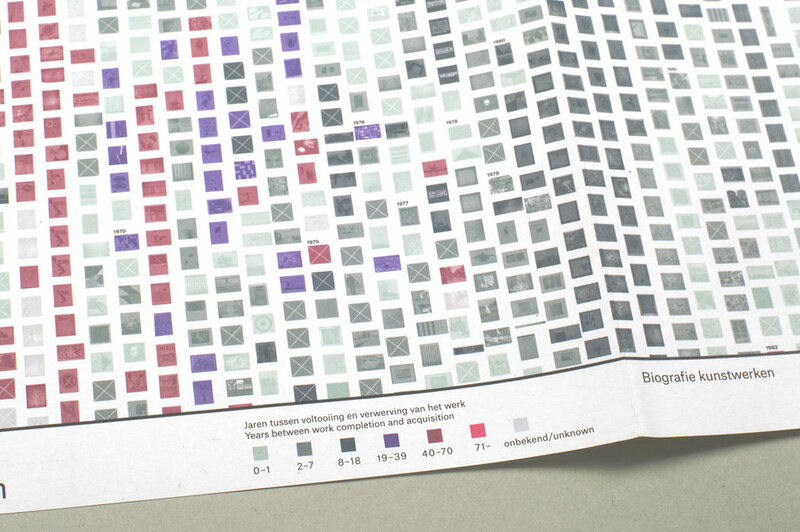 Information design visualizing the characteristics of the museum collection of the Van Abbemuseum in Eindhoven, The Netherlands. 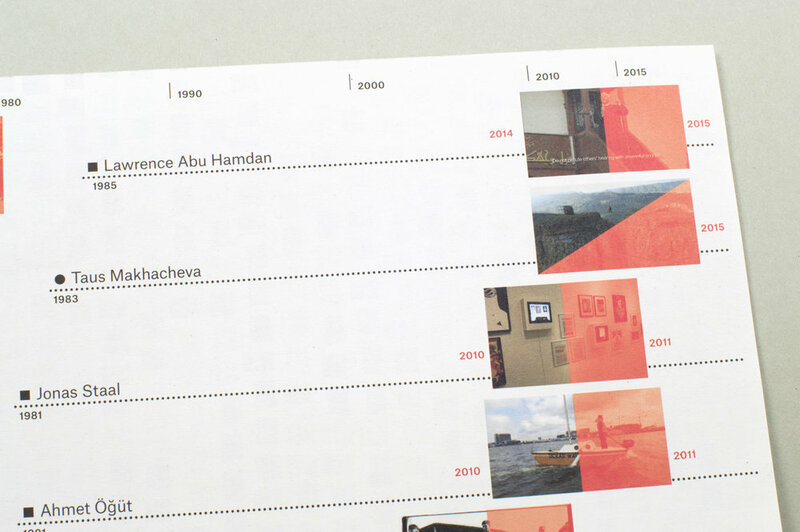 The brochure attempts to uncover the relation between work completion and acquisition to the museum. 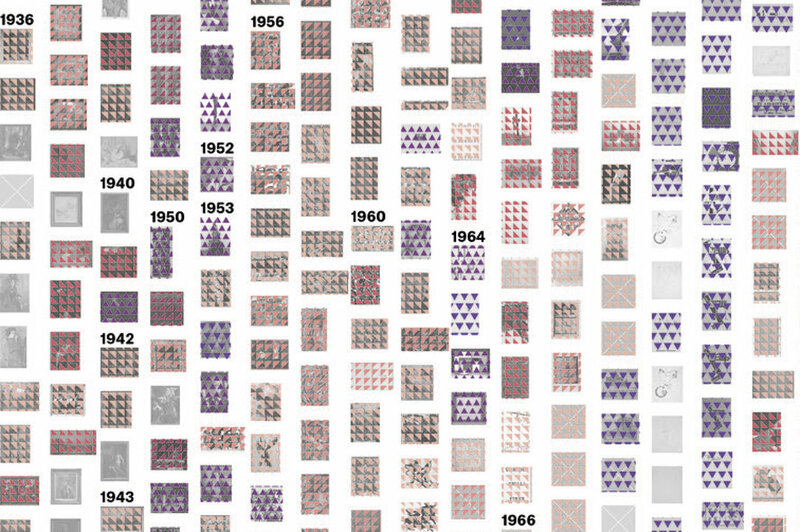 The vertical timeline on the front page programs this data since 1936 with the mosaic pattern ranging in color from light green to vivid magenta. 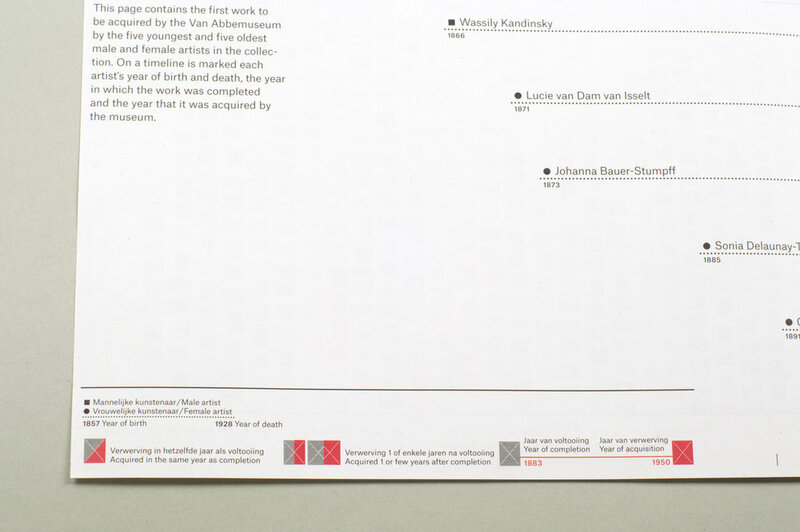 The horizontal timeline on the back side extracts the data of male/female and oldest/youngest artists and compares them in term of work completion and acquisition in fresh red.